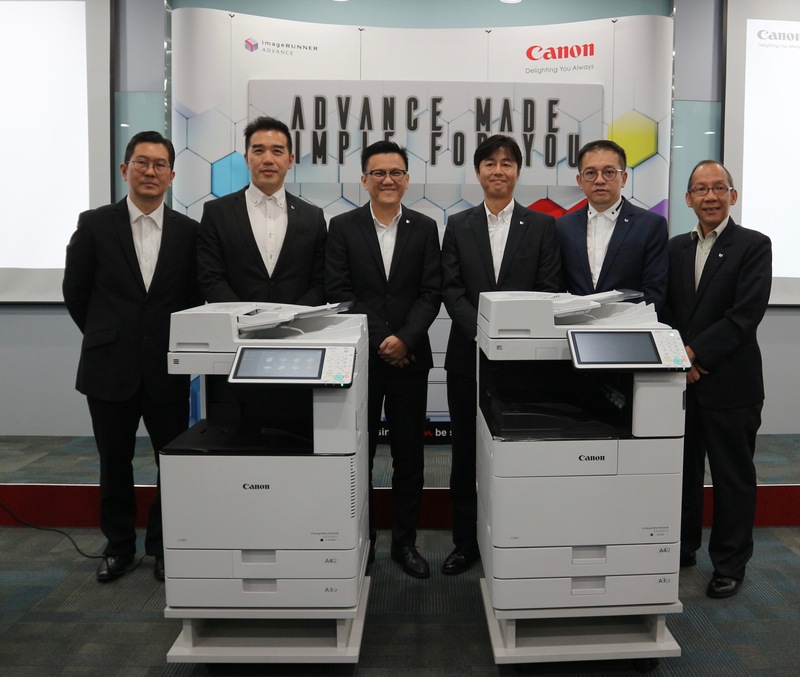 KUALA LUMPUR, 3 MAY 2017 – Canon Marketing (Malaysia) today marked the completion of its imageRUNNER ADVANCE (iR-ADV) Generation 3 line-up with the launch of the new Canon iR-ADV C3500i and iR-ADV 4500i series. During the media session, President and Chief Executive Officer of Canon Marketing (Malaysia) Sdn. 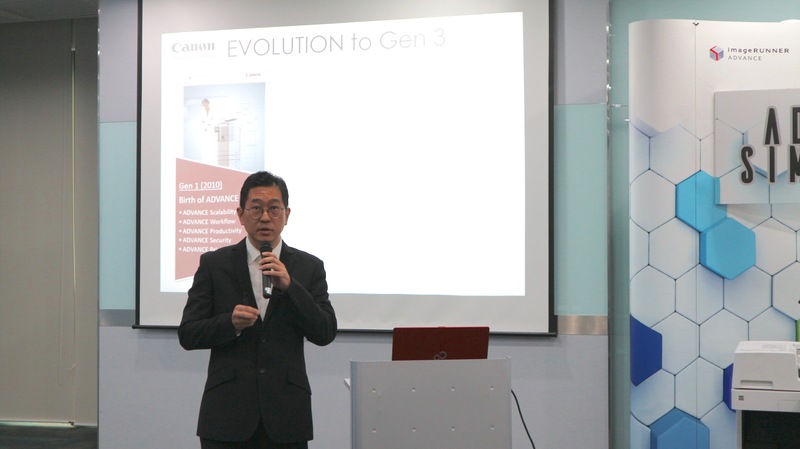 Bhd., Mr. Andrew Koh, said that in celebration of Canon Malaysia's 30 th anniversary this year, the company is excited to present to customers with their latest cutting-edge MFDs. Mr. Andrew Koh, President and CEO of Canon Marketing (Malaysia), delivers his welcome address at the beginning of the imageRUNNER ADVANCE Gen-3 media launch event. "The new additions of imageRUNNER ADVANCE aim to deliver exceptional user experience not only to the end users, but also to the business administrators. 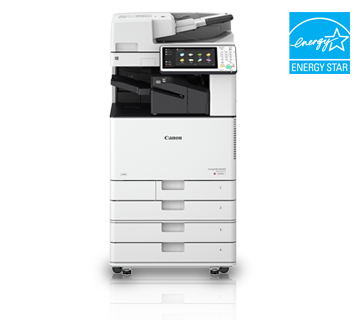 Canon's latest multi-function devices (MFDs) combine intuitive usability, excellent connectivity and operability and are set to become an integral part of today's complex office eco-system," he said. He added that technological advancements have been growing at an accelerated rate over the last few decades, and as a leading imaging products and solutions provider, Canon is constantly at the forefront of these innovations in its industry. "Technology has greatly enhanced productivity and efficiency in the workplace. It has also contributed to making processes and systems more cost-efficient. Some may equate the act of cost-saving with zero-spending, or stopping to spend altogether; but saving cost is actually about getting maximum value for your money. From an operational aspect, Canon's MFDs have been helping businesses from various types of industries to manage their workflow better as our products and solutions can automate frequently done tasks easily to help enhance office productivity. We are confident that our MFDs continue to provide functional and environmental benefits that answer and address to daily business needs and demands" said Koh. As part of Canon's commitment to environmental conservation, the Canon imageRUNNER ADVANCE series is designed with strong consideration for sustainability. Each device is made from 100% recycled plastic, while many of its components are optimized for energy conservation. Digital workflows and usage control furthers Canon's green cause by reducing wastages and environmental footprint. During the media session, Canon demonstrated the device integration and system capabilities of the new Canon iR-ADV C3500i and iR-ADV 4500i series. Through an interactive demonstration, invited guests and media friends were able to experience the upgrades of each device from its predecessor as well as how these devices could potentially benefit and enhance business operations. 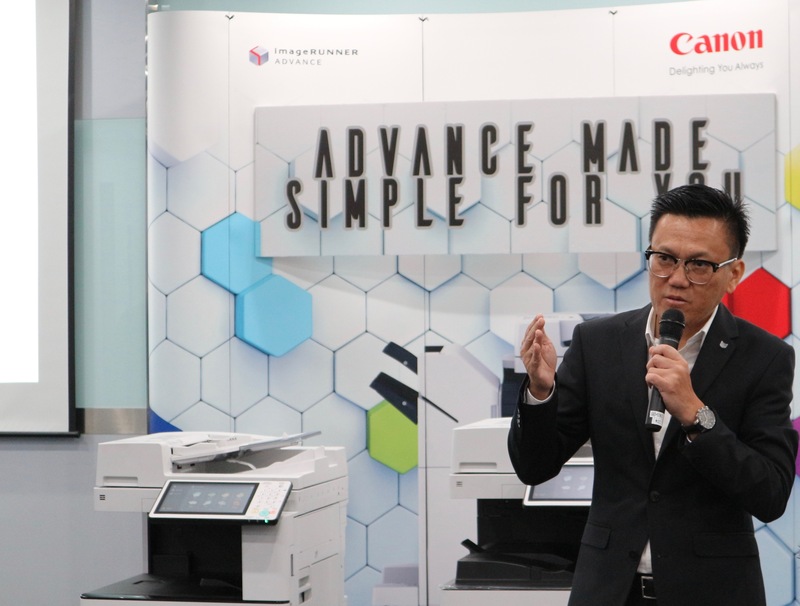 Mr. Rodney Fong, Marketing Manager, Business Imaging Solutions (BIS), Canon Marketing (Malaysia), speaks about the latest generation of the imageRUNNER ADVANCE Multifunction Devices (MFDs). Alvin Lee, Head of Business Imaging Solution for Canon (Marketing) Malaysia, said that the modern-day habits and preferences call for more mobility and flexibility in the current working environments, and businesses are increasingly adopting smart office solutions to drive employee productivity. "The latest iR-ADV series are designed based on this workplace trend, featuring many innovative functionalities that meet the expectations for greater user experience. As with the other series in Generation 3, we aim to empower our customers with the simplification and personalisation of individual workflows for maximising productivity in day-to-day tasks," he explained. Lee elaborated that saving time and resources is a big concern at most companies, as such understanding the jobs businesses print is essential to adding intelligence to a printing strategy. 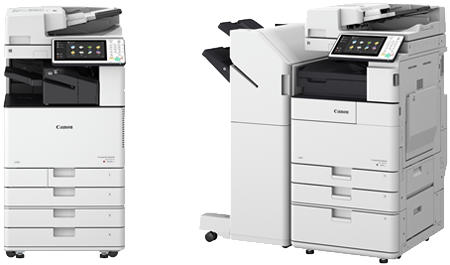 "Canon's MFDs offer advanced capabilities for efficient device and fleet management to help maximize productivity. Ultimately, the objective is to streamline operation and processes and in the long run, save costs," he said. (Left to right) Mr. Rodney Fong, Marketing Manager, Business Imaging Solutions (BIS); Mr. Eric Er, Senior Marketing Manager, Business Imaging Solutions (BIS); Mr. Andrew Koh, President and CEO; Mr. Masato Yoshiie, Senior Director, Business Imaging Solutions (BIS); Mr. Alvin Lee, Head of Business Imaging Solutions (BIS) and Mr. Donny Ling, Head of Marketing Engineering for Canon Marketing (Malaysia), pose for a photo with the new imageRUNNER ADVANCE Multifunction Devices (MFDs). Modern workflows require connection to varied external sources and function in a flexible manner to suit today's on-the-go workforce. 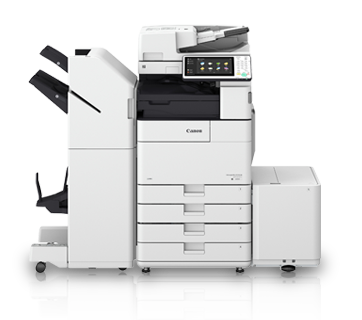 The new iR-ADV series fulfill the requirements of such agile working environments by supporting a wide range of mobile document handling applications such as Apple® AirPrint®, Google Cloud Print and MOPRIA™, as well as Canon PRINT Business. The seamless mobile connectivity allows users to execute critical tasks efficiently, and transfer documents anywhere at the convenience of their time via their connected smart devices. Overall, today's businesses seek operational efficiencies and a clear return on their investments. However, many are unaware of the true cost of print and information management in their organisation, which can be significant if not managed properly. The total cost of print includes hidden costs associated with information management, output management, IT support and infrastructure, administration and purchasing. Canon's iR-ADV platform is designed to address these and deliver cost savings to help maximise return on investments. 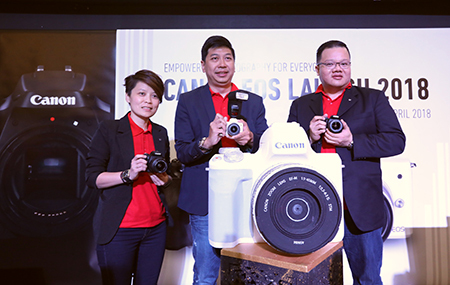 "As one of the leading imaging solutions specialist, Canon Marketing Malaysia reinforces our positioning within the imaging industry through these new Generation 3 MFD's. This is our testament towards being an input-output solutions company that caters to the needs of different audiences - business or consumer," Lee concluded. 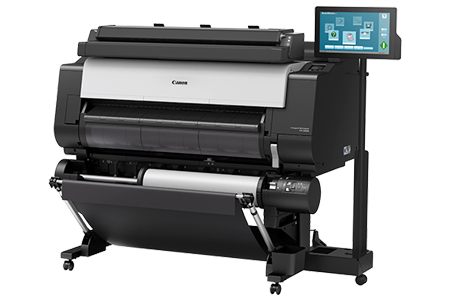 The latest Canon imageRunner iR-ADV C3500i and iR-ADV 4500i series is now available. Those who are interested to learn more can request for a sales demonstration with Rodney Fong, Marketing Manager at 03-5568 2121, or email at rodney_fong@cmm.canon.com.my. For more information on Canon, visit www.canon.com.my or www.fb.com/CanonMalaysia/.